Now in its 11th year, the Florida Keys Heroes Tribute Weekend is our way of saying thank you to the men and women who serve our Nation. Join us this year for a family-friendly weekend full of events and activities celebrating their service. Get the family and friends together for a one-of-a-kind weekend in Marathon - the boating, fishing and family fun capital of the Florida Keys. From Friday - Sunday, August 30, 2019 - September 1, 2019, Hawks Cay Resort is hosting their annual Heroes Salute Weekend, three full days of patriotic fun, moving tributes, All-American fireworks, a Heroes Salute 5K Run/Walk, and the chance to show your appreciation to our brave men and women of service. 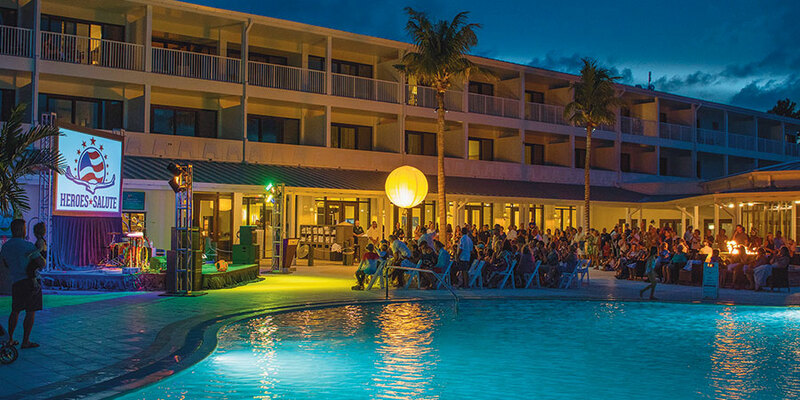 The Florida Keys Heroes Tribute Weekend is one of the most anticipated events of the summer. Make your plans today to join us for this very special event! Outdoor movie projector with free popcorn, face painting, games, and activities. Rise with the sun at this red, white and blue 5k run/walk around Hawks Cay Marina. Live entertainment by local entertainers, including live music and artistic performances with an emphasis on a patriotic theme. Post Race Party held at Hawks Cay Marina. Local heroes (Coast Guard, Fire Dept, Sherriff, Secret Service, Boarder Patrol, and others) bring their vehicles, equipement and educational materials for the kids and families to explore. 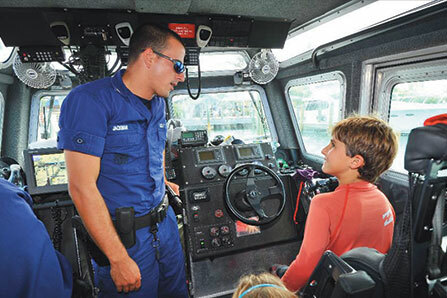 Touch A Truck will be held at Hawks Cay Marina. 5:00 - 10:00 PM • Live entertainment by local entertainers. Special presenting guests from Coast Guard Honor Guard, Wounded Warrior organizations, regional and service dignitaries and representatives from Firehouse Subs. Past Heroes Salute special guests have included a NASA astronaut, US Congressmen and several wounded warriors. Fireworks Extravaganza! What better way to end a fantastic Heroes Salute Tribute Weekend than watching a patriotic fireworks display over the Atlantic Ocean with the family. Hint - Great viewing areas can be found near the lagoon! Entertainment at Hawks Cay Resort by Howard Livingston, a local trop rock entertainer. Enjoy a full BBQ buffet dockside at Hawks Cay Marketplace with live music, games and contests, and all your BBQ favorites. Current and Former Military, Fire and Rescue, Law Enforcement, and Medical Personnel enjoy a special rate and so much more between August 1st and December 19, 2019. All civilians can receive 15% off bar between August 26th and December 19, 2019 by donating $5 or more to Firehouse Subs Public Safety Foundation. Donate now for up to 15% off! See local accommodation options available in the Marathon area. We look forward to welcoming you to Marathon!